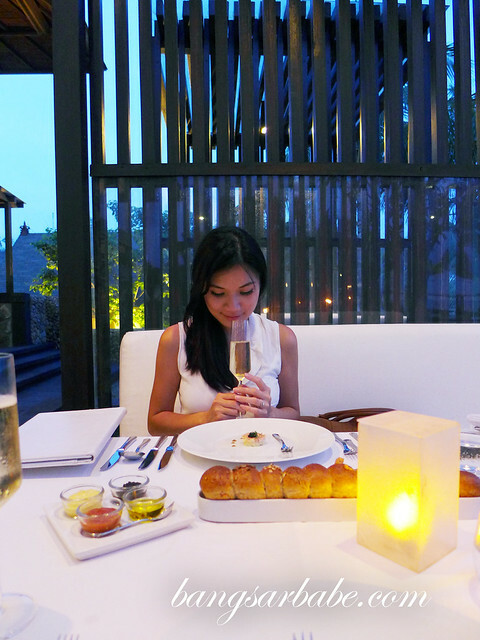 I ate very well when I visited Bali last month, dining from one restaurant to another including a luxurious degustation dinner at Kayuputi in St Regis Bali Resort. An awfully lucky girl, I am! I have to thank the PR of St Regis Bali Resort for extending an invite to dinner after my lovely afternoon tea at King Cole Bar. 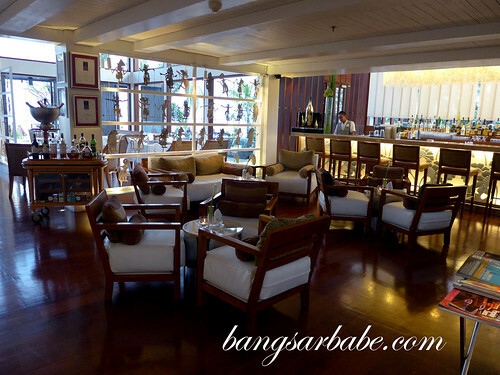 “Kayuputi” means white wood in Indonesian language and the restaurant décor is modern (with traditional Balinese influence) and elegant with a view of the ocean. The al fresco dining area allows guests to enjoy the ocean breeze and those who choose to dine inside will enjoy a different yet similarly enjoyable experience with soft white cushion chairs, open kitchen and the restaurant’s two-storey wine cellar. 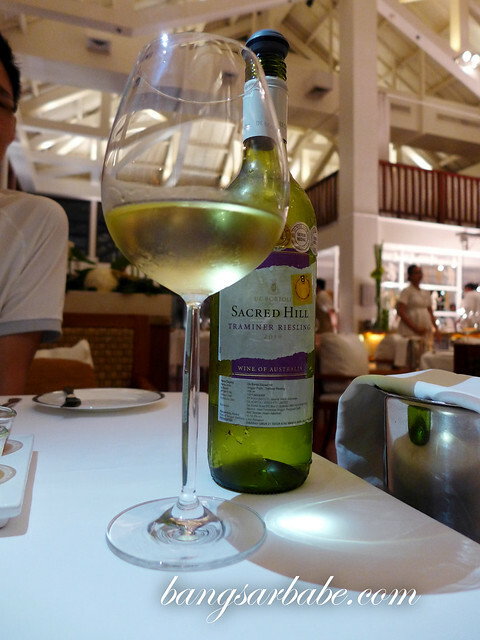 I was well taken care by the resort’s five-time Wine Spectator award winner German Sommelier, Harald Wiesmann, who did a terrific pairing with the dishes I had that night. He decided on the wines based on his first impression of me – my mannerism, the way I walked and the way I spoke. 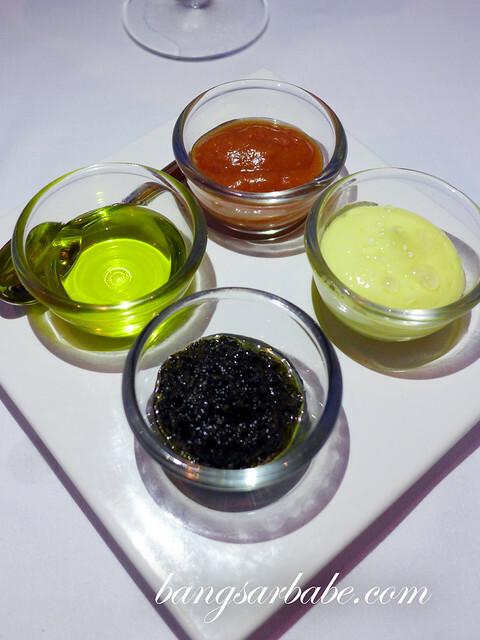 Black olive tapenade, olive oil, banana dipping and pink salt butter. 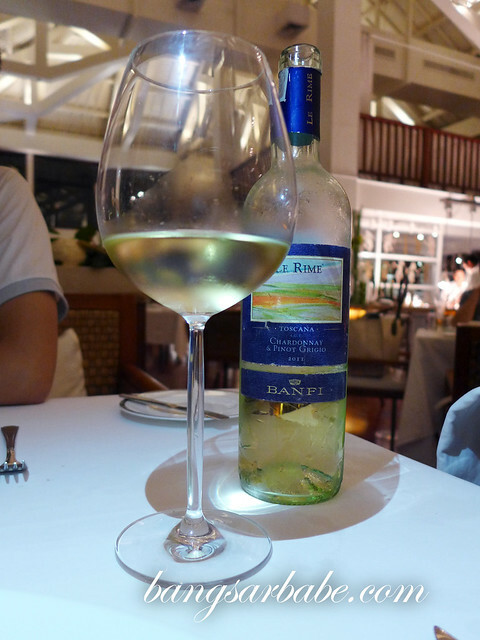 I chatted with Harald slightly during and after dinner, and learnt that he has more than 40 years of experience as a sommelier and was part of the pre-opening team at St Regis Bali Resort. His pairings are based on ‘feeling’ and accessing his customers. After doing it for so long, I’m sure it comes as second nature to him. 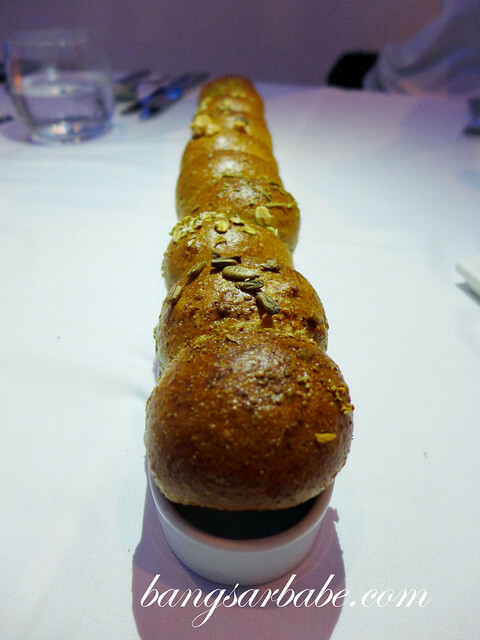 I tucked into freshly baked bread with black olive tapenade, olive oil, pink salt butter and banana dipping, and especially enjoyed the pink salt butter. 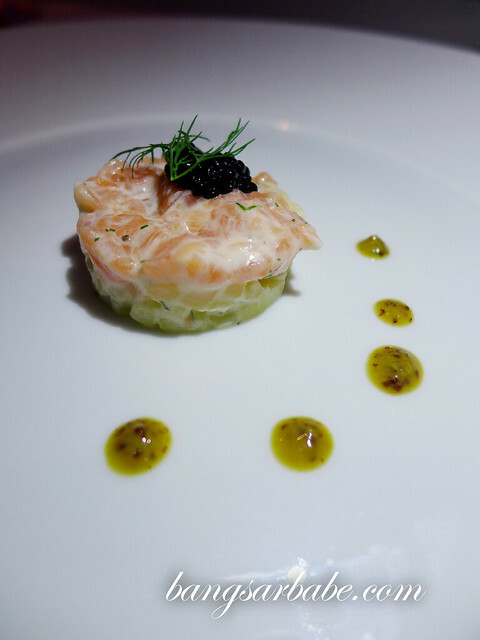 My amuse bouche that night was a lovely salmon tartar on potato salad with Avruga caviar. Along with this, I enjoyed a glass of Duval-Leroy champagne. 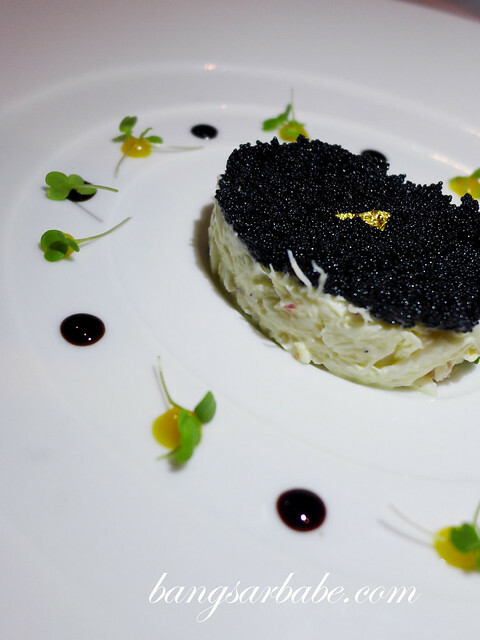 As per Harald’s recommendation, I sampled a mix of dishes from the three degustation menus available, starting with the Alaskan crab meat tartar – topped with tobiko row and accompanied by the chef’s handiwork of micro cress and spicy passion fruit paste. This was also paired with the champagne above. Also stellar was the crispy fried deep sea scallops coated with wild rice. This came with a tasty carrot-lime macchiato and vanilla milk foam. 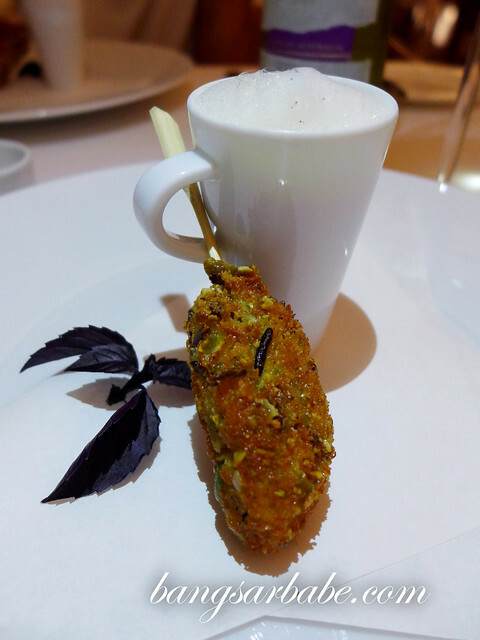 Clever play of textures and flavours, the macchiato was a symphony of tangy, sweet and savoury. The 2010 De Bortoli Scared Hill Traminer Riesling – paired the deep sea scallop – had a rose aroma and a citrus aftertaste. This sweet fruity wine was light and rounded with a lovely balance of floral notes and spice. Throughout dinner, kitchen team delivered the dishes consistently and confidently. This tripletail fish fillet was expertly cooked, and came perched on a bed of organic spinach, sea urchin butter and rouille foam. It was then in Bali, that I learnt to love fish. 2011 Castello Banfi Le Rime Pinot Grigio – Chardonnay Toscana IGT was a fruity and fragrant wine with a golden yellow hue and crisp finish. An ideal partner to the fish. 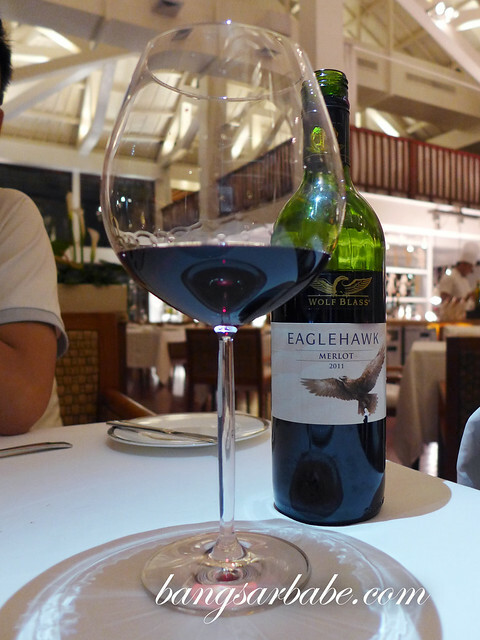 Harald paired the 2011 Wolf Blass Eaglehawk Merlot, South Australia with my next course – lamb. This wine had soft, plummy notes and gentle tannins; perfect with red meat dishes. 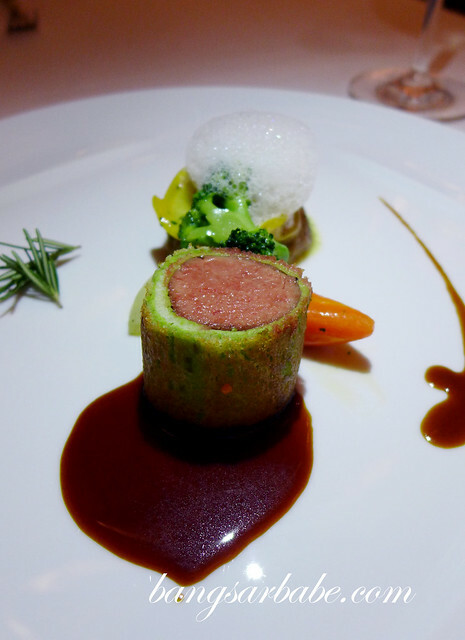 The Australian milk-fed lamb medallion with vegetable ratatouille dumpling, eggplant caviar and rosemary meat reduction looked like a work of art on the white plate. The crispy exterior complemented the juiciness of the meat to great effect, and I loved the combination of dumpling and eggplant. Simple, but elegant. 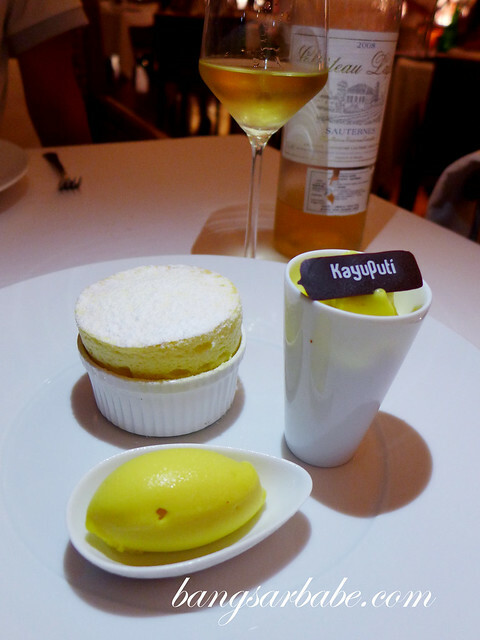 Dessert was a passion fruit trio of soufflé, sorbet and espuma. All were tasty – mostly sweet with a tart accent from the fruit. My favourite of course, was the soufflé. Light and puffy with a good balance of sweet and sour. The Chateau Lafon Sauternes from France was a great pair to the trio above. I liked how Harald figured out my preference for sweet wines; and this IS my kind of wine. 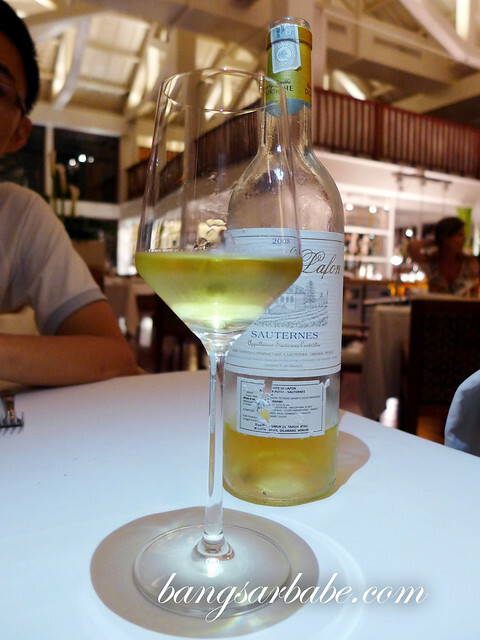 The Sauternes had a strong honey citrus scent and was fuller in taste compared to a Moscato. 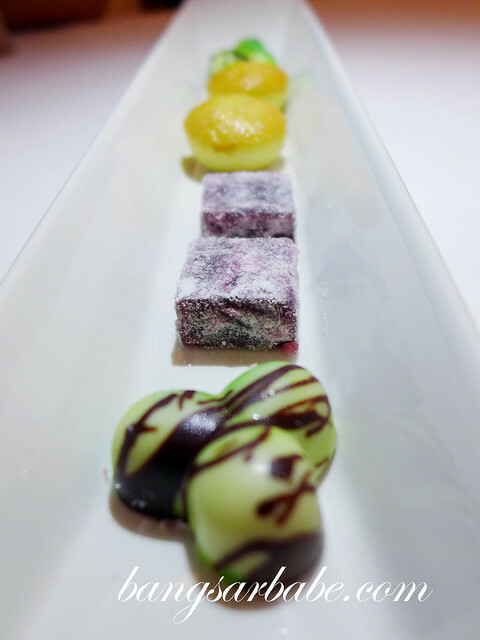 Dinner ended with a platter of chocolate pralines, madelines and black current fruit paste. 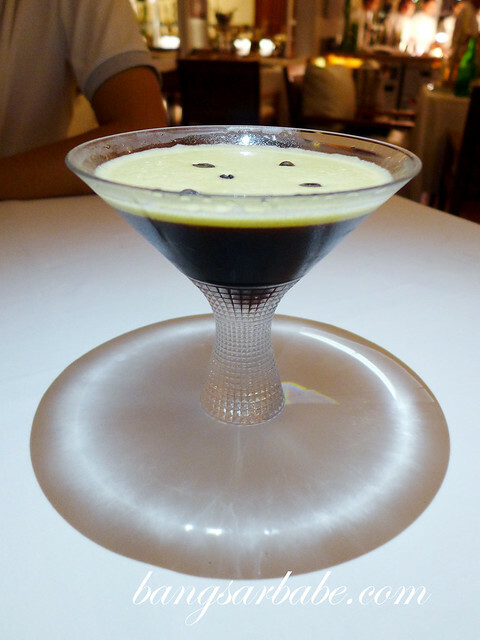 Instead of a regular coffee, I tried an espresso martini, a gorgeous bittersweet cocktail that marked the end of a wonderful meal. A little gift from St Regis Bali Resort. Thank you!! 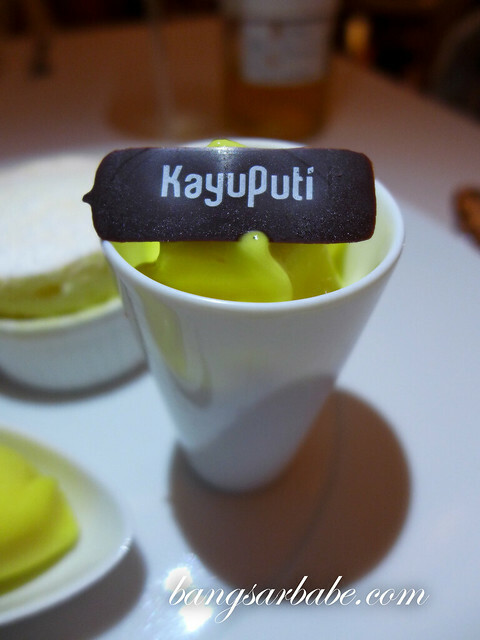 For more information about Kayuputi, visit the restaurant’s website here. Also, “Like” St Regis Bali Resort on Facebook and find out more about the resort via the official website here. 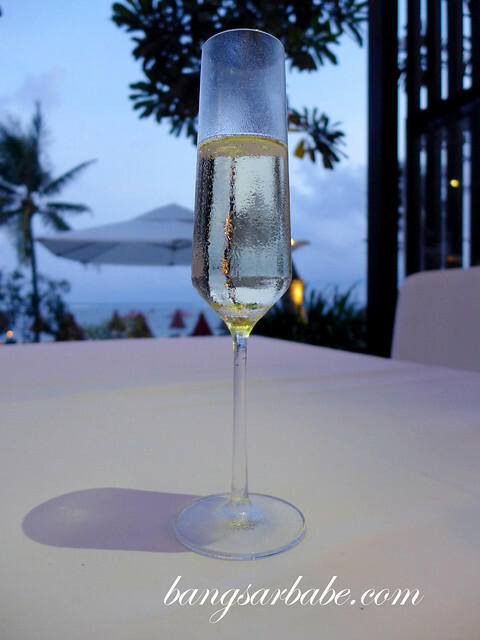 Verdict: Truly a beacon of the culinary scene in Bali! wow! 9/10 for food, your highest rating yet? Why you rate price 3/10 ?